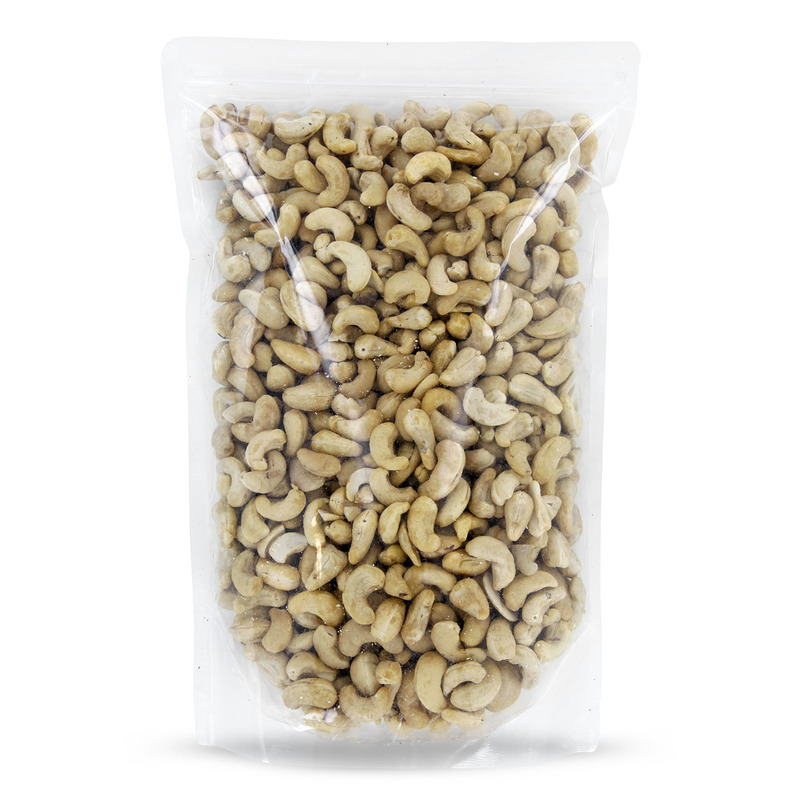 Cashew Nuts are a great fat source and an ideal snack. Cashews are the fruits of the cashew tree. They are considered to be one of the most popular nuts out there, but actually they are kernels, not nuts. Regardless of that fact, cashews are beloved by everyone. The cashew tree grows in tropical climates like Brazil, where they are also cultivated, harvested and prepared for export worldwide. 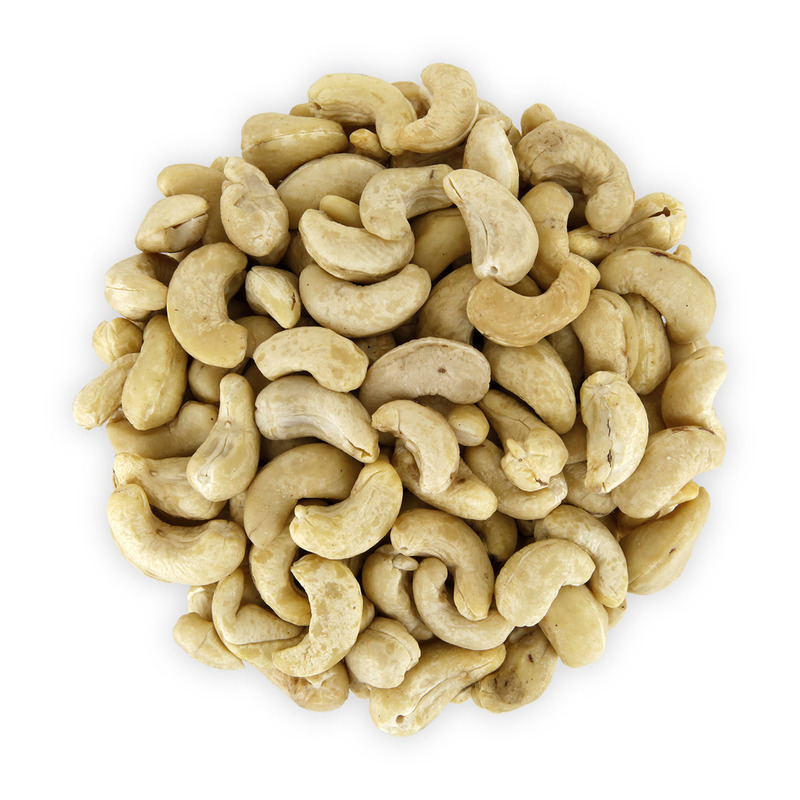 The main cultivators of cashews are India, Brazil, Nigeria and Tanzania. After removing the cashew fruit from the tree, the core of the fruit is freed from its casing and cashew kernels easily fall out of there. The kernels have an intensive, lightly sweet and nutty taste. They can be eaten by themselves, as well as in combination with various dishes. 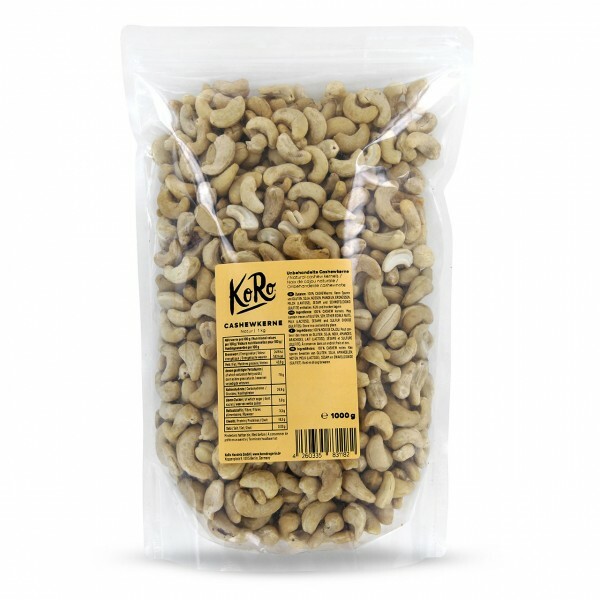 Our cashews at KoRo are preservative free and do not contain any additives like salt, sugar or even oil. Which Vitamins are in Cashews? The kernels are rich in Vitamin E and K as well as a lot of B Vitamins. But that’s not enough, they also contain a lot of magnesium, phosphor, potassium and zinc. 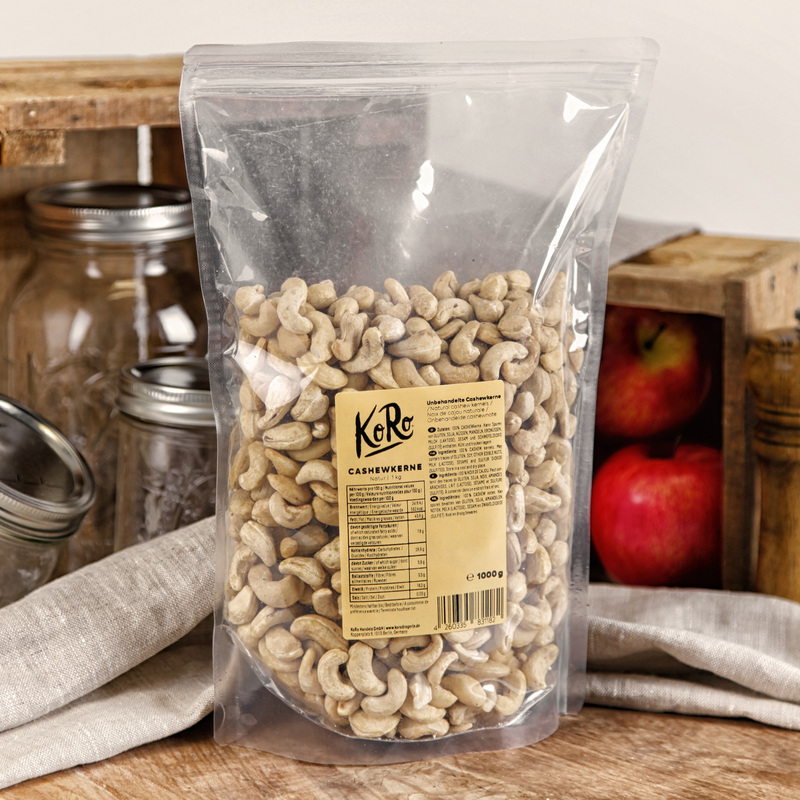 How much protein do Cashews contain? 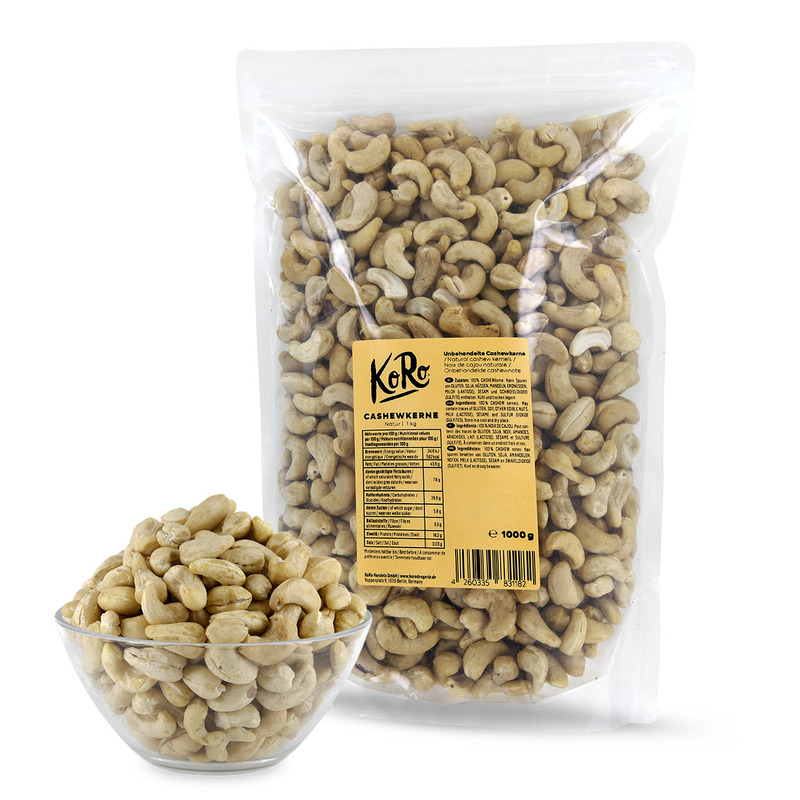 Our Cashews contain as much as 18,2g of protein on 100g.